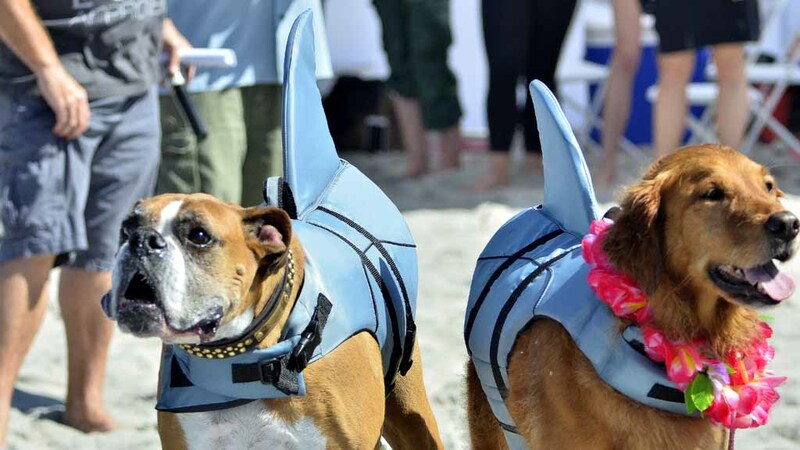 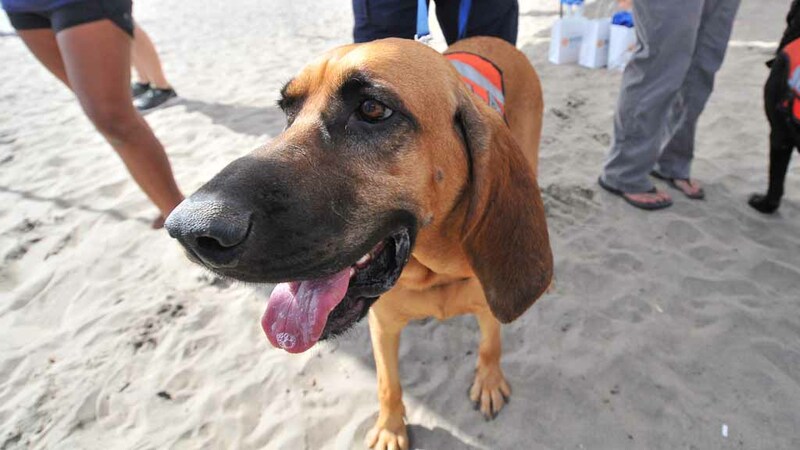 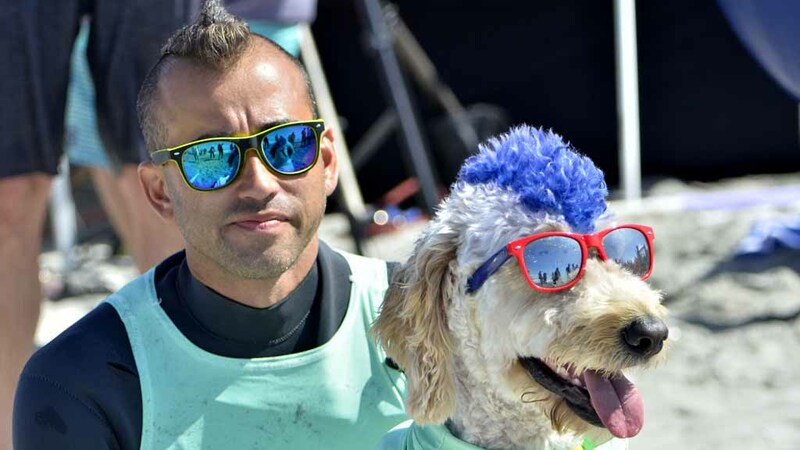 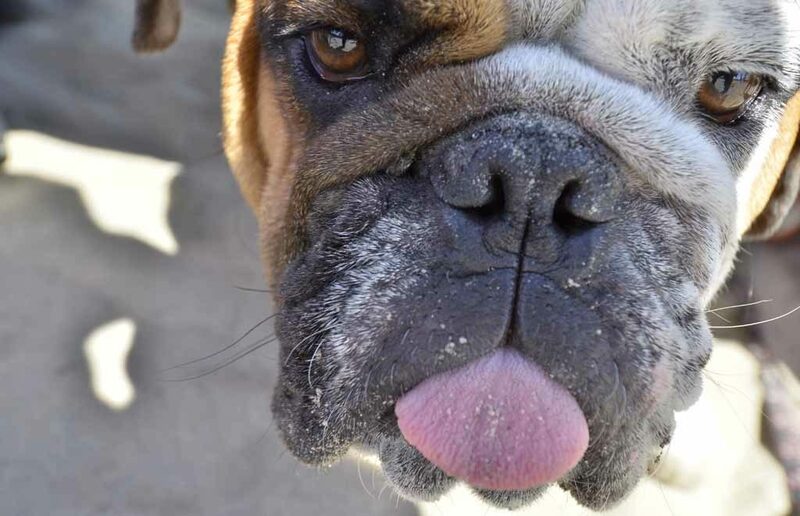 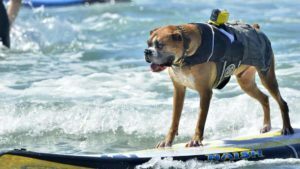 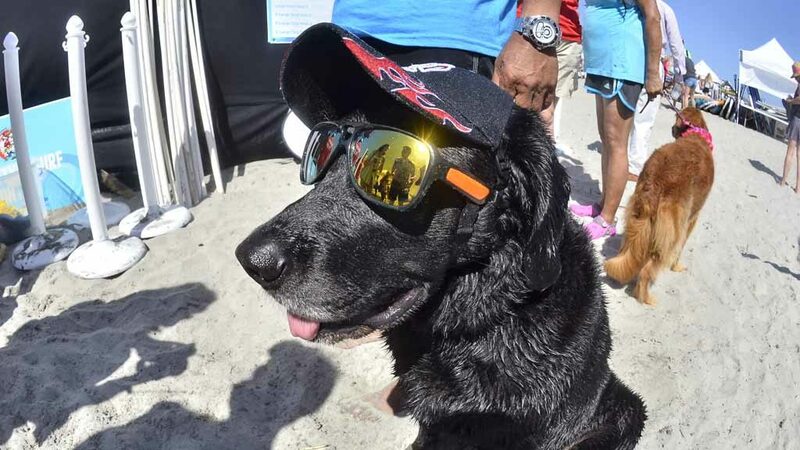 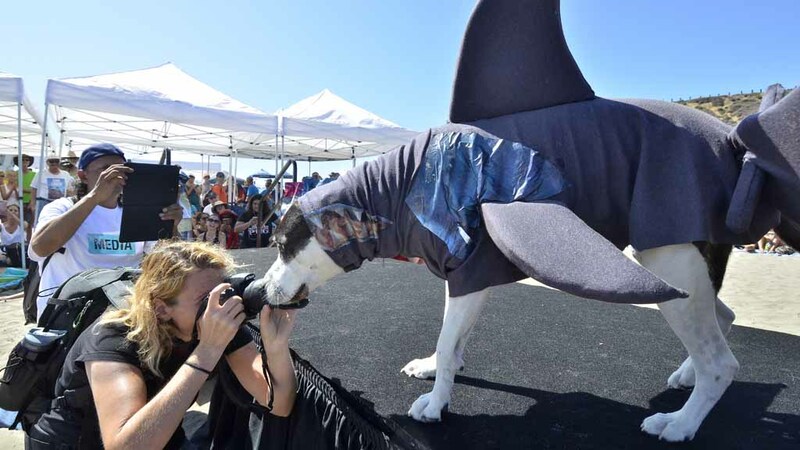 A male boxer named Hanzo was the top dog Sunday as more than 70 canines competed in the 11th Annual Surf Dog Surf-A-Thon at Dog Beach in Del Mar. 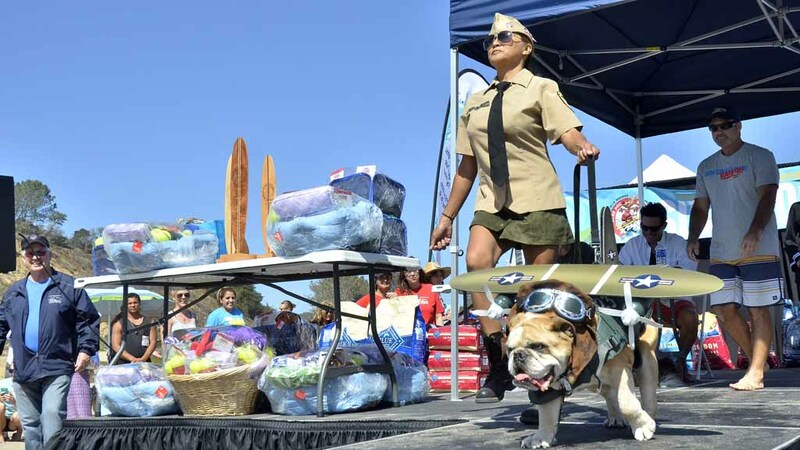 The winners earned food and toys — and medals. 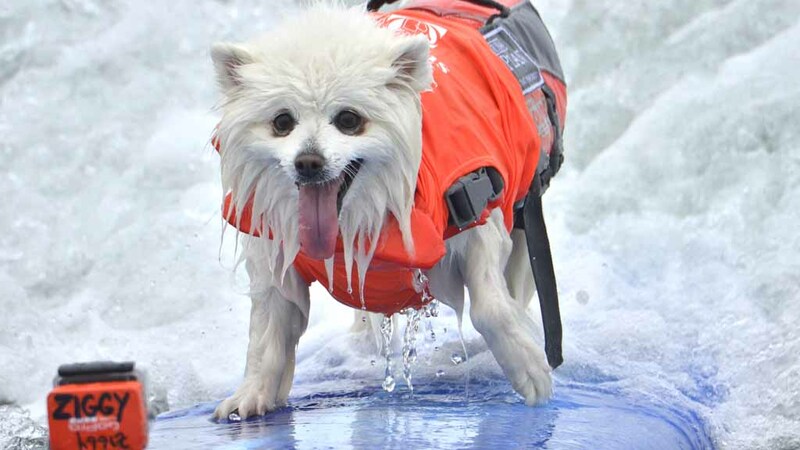 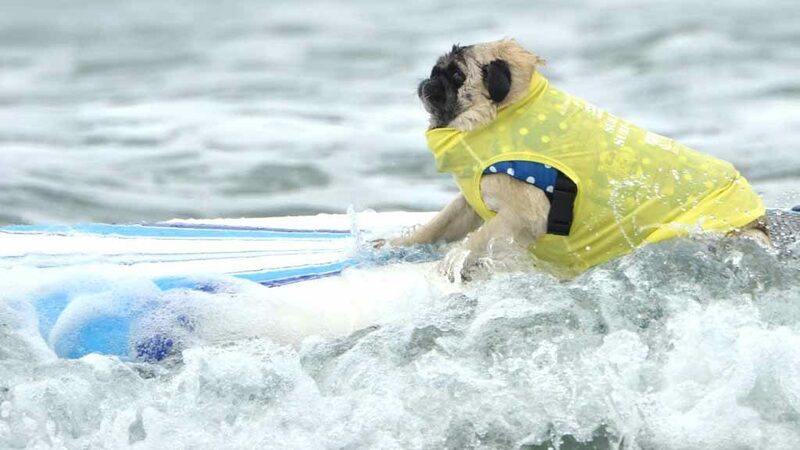 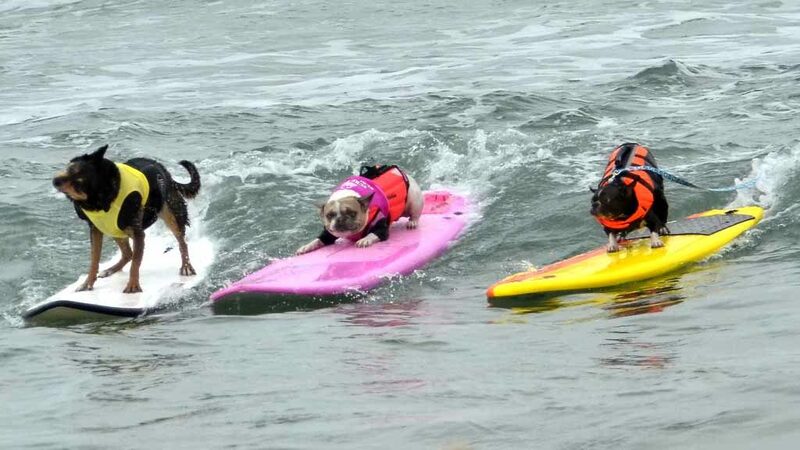 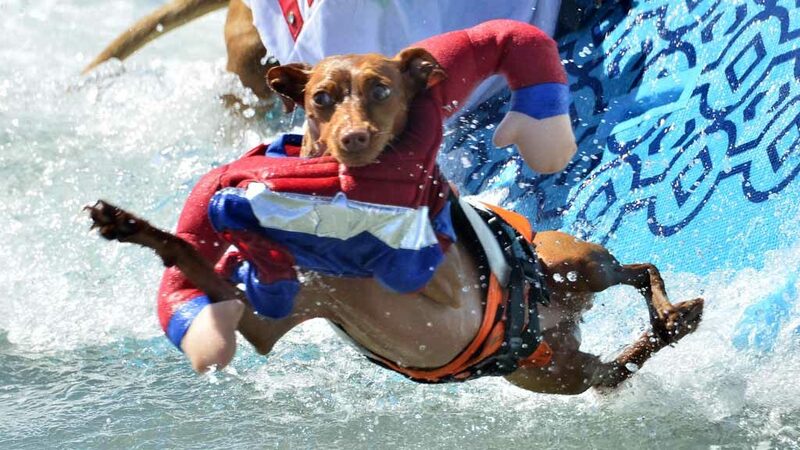 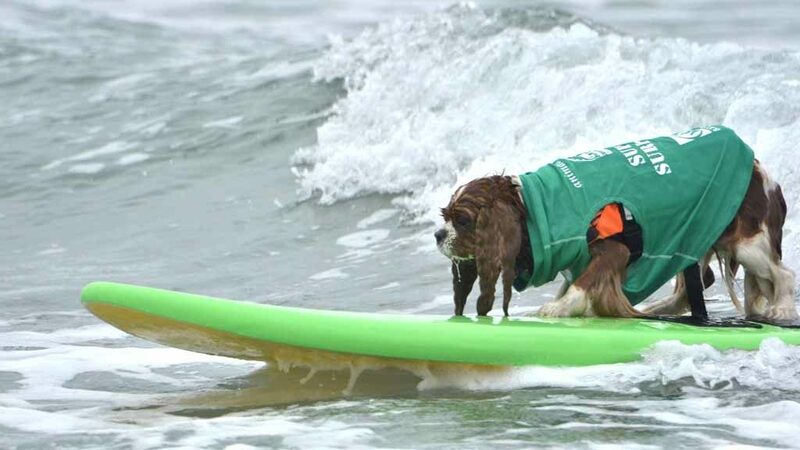 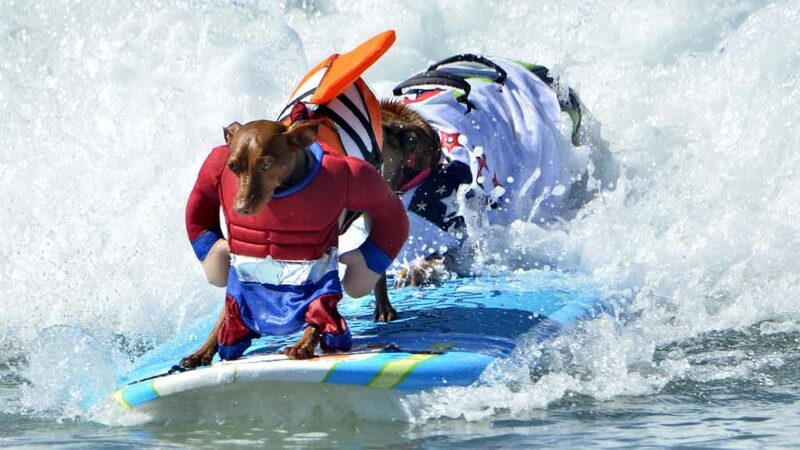 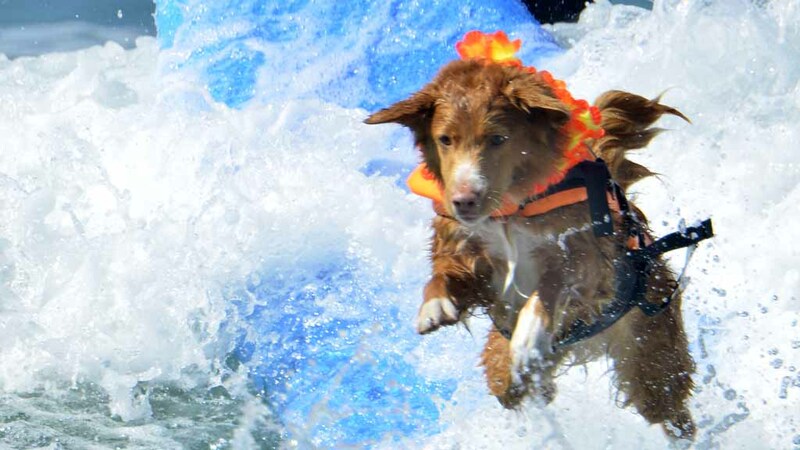 Canines took part in 10-minute heats based on weight class and were judged on their ability to ride the waves, and stay on the board. 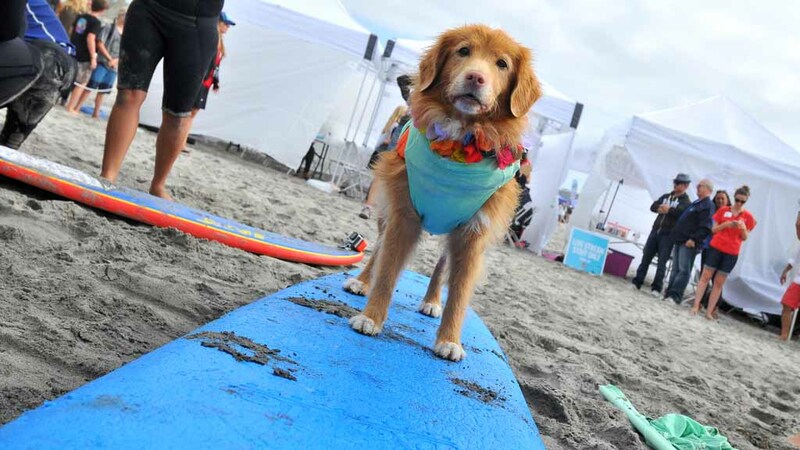 The freestyle feature surf contest returned this year with points awarded for creativity. 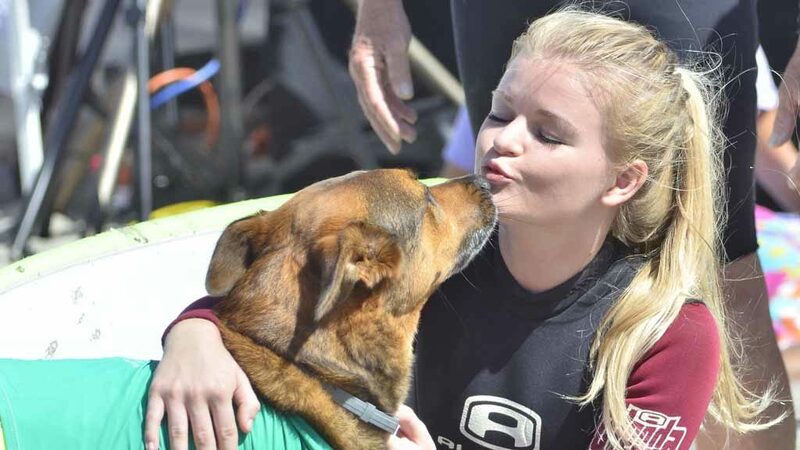 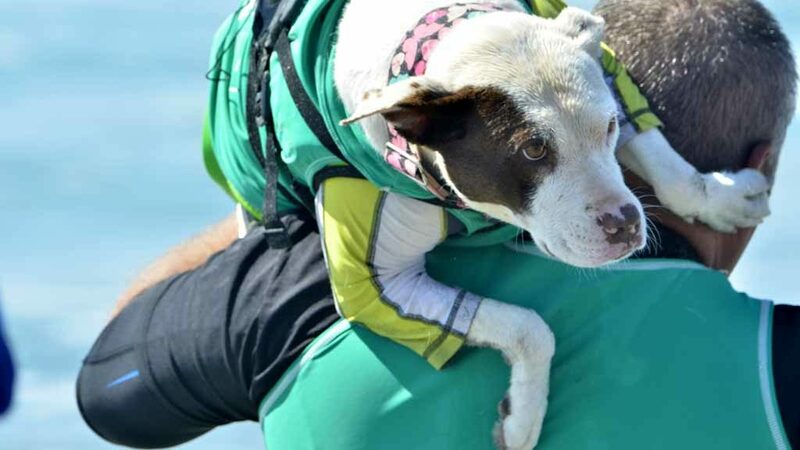 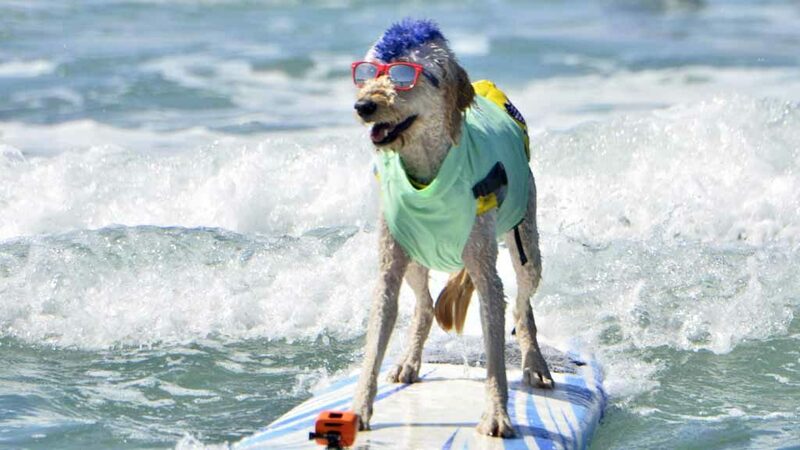 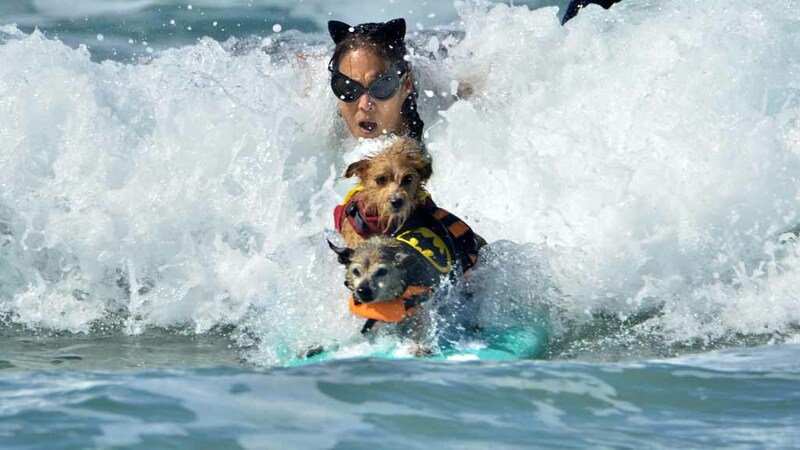 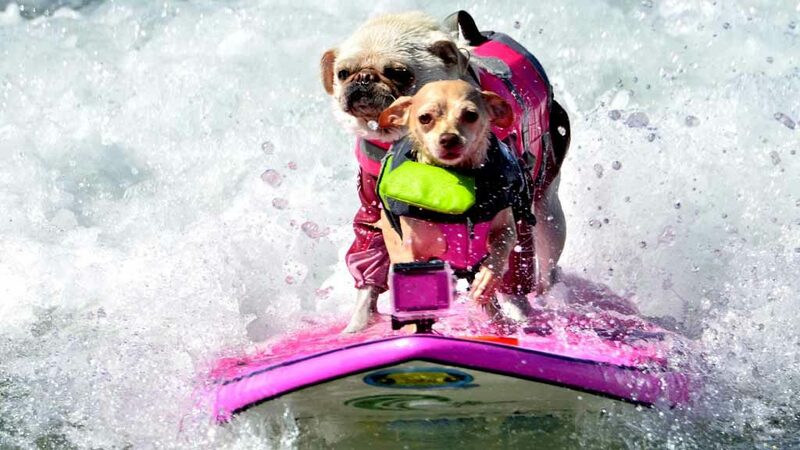 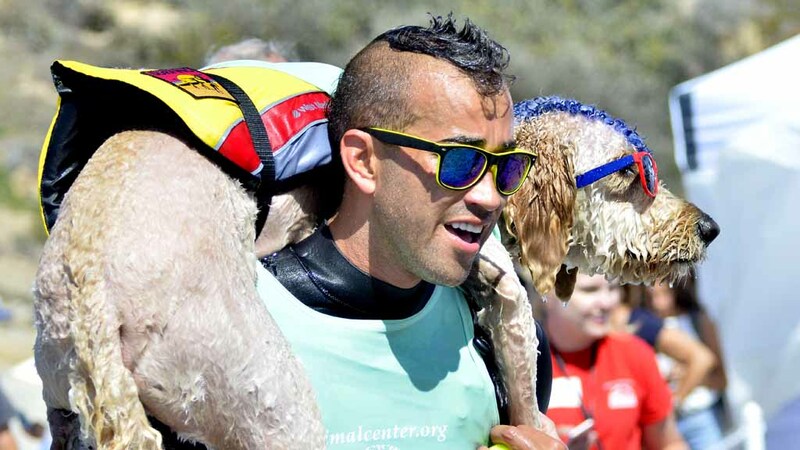 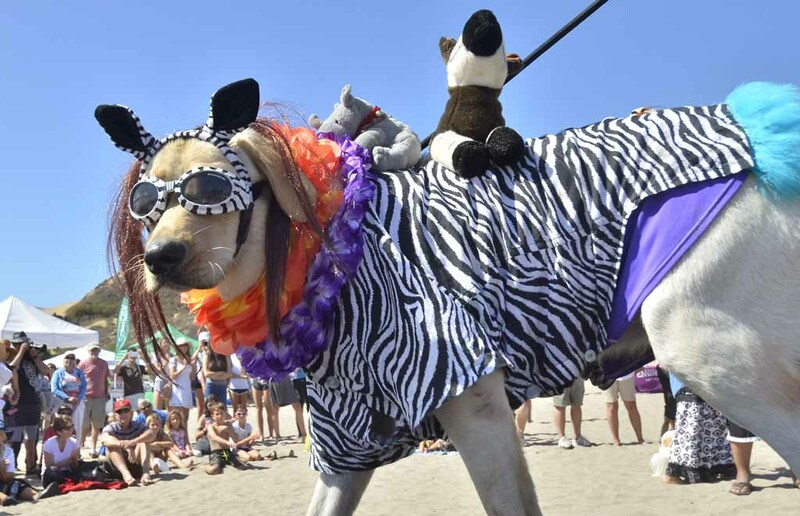 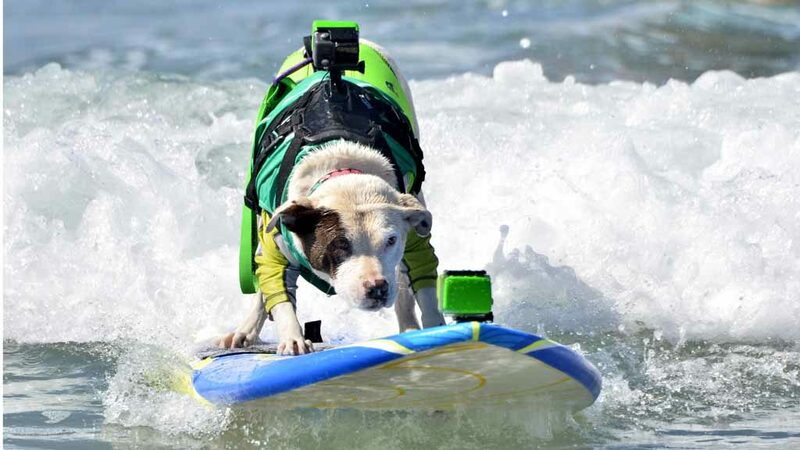 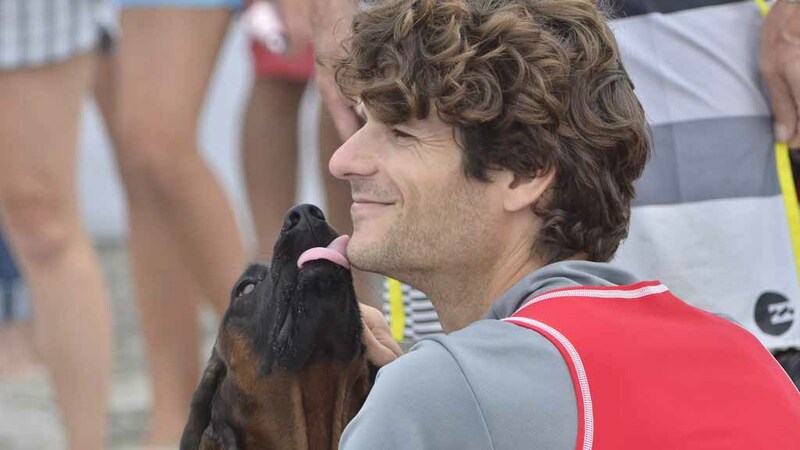 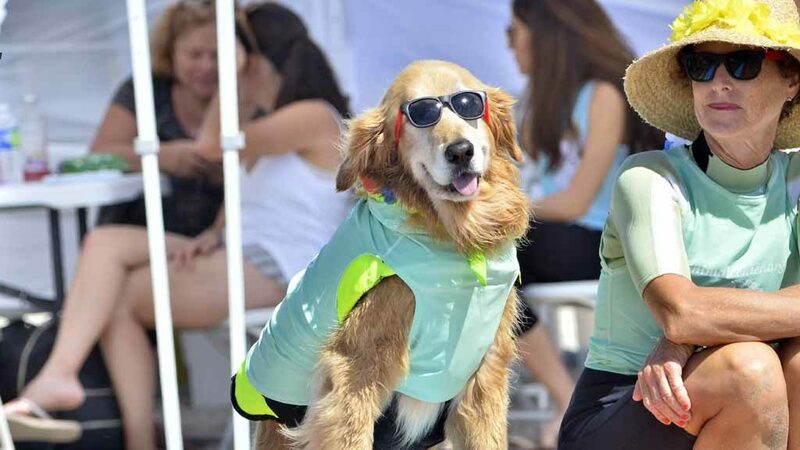 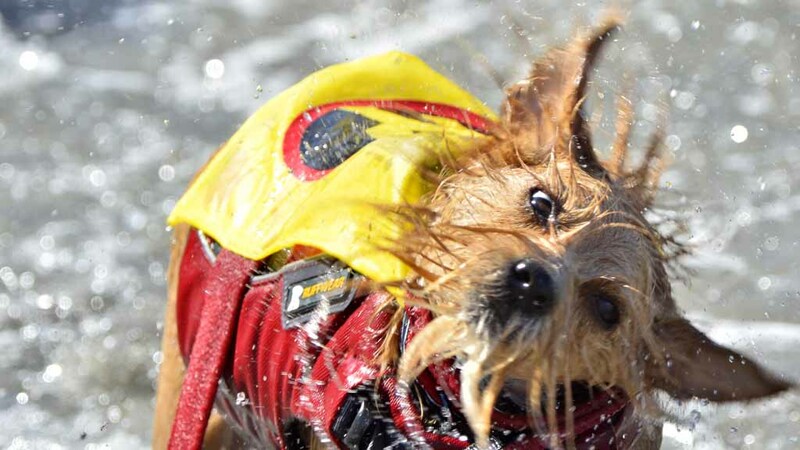 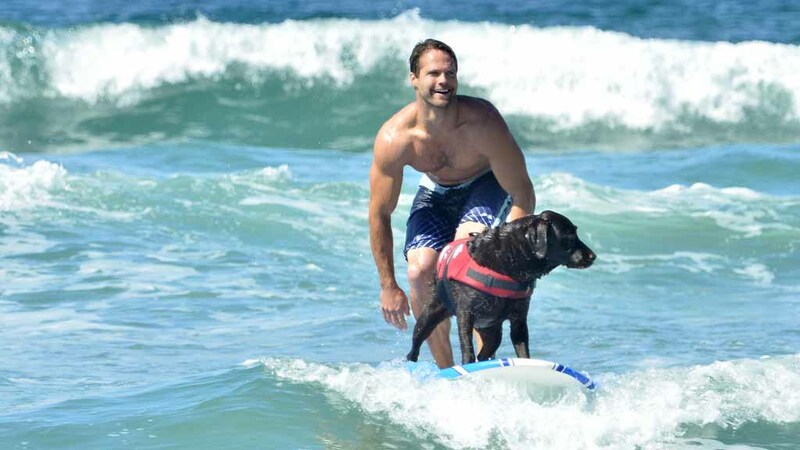 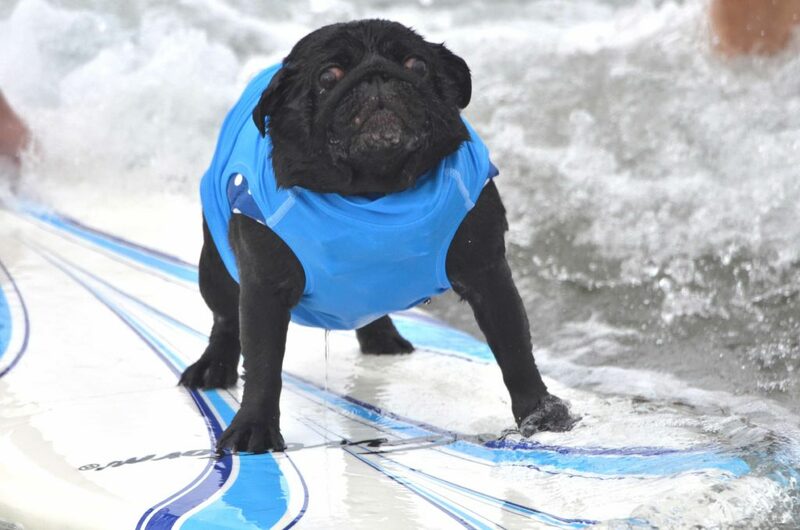 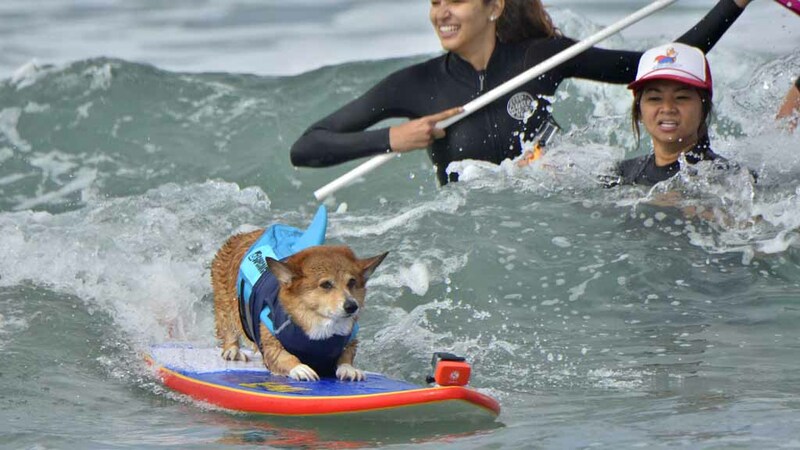 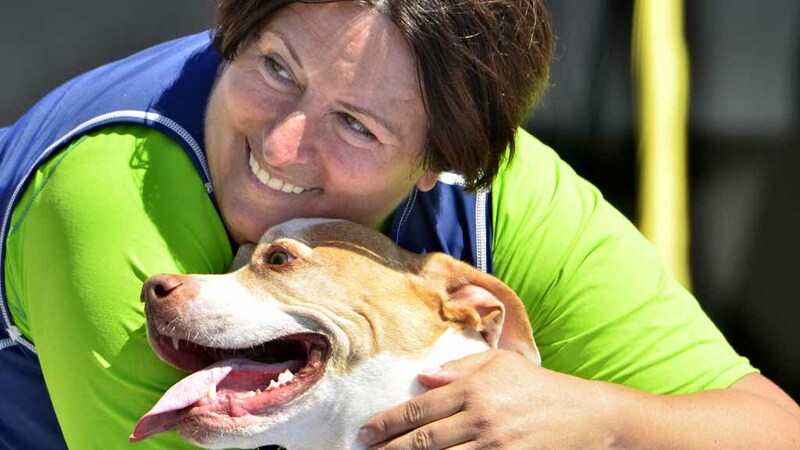 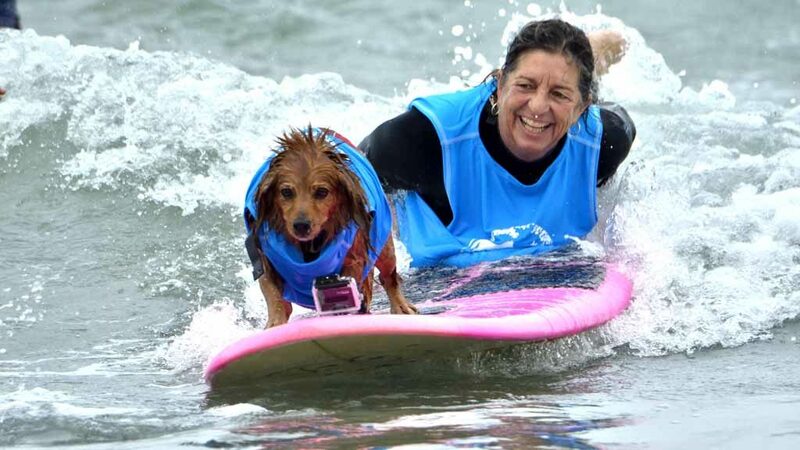 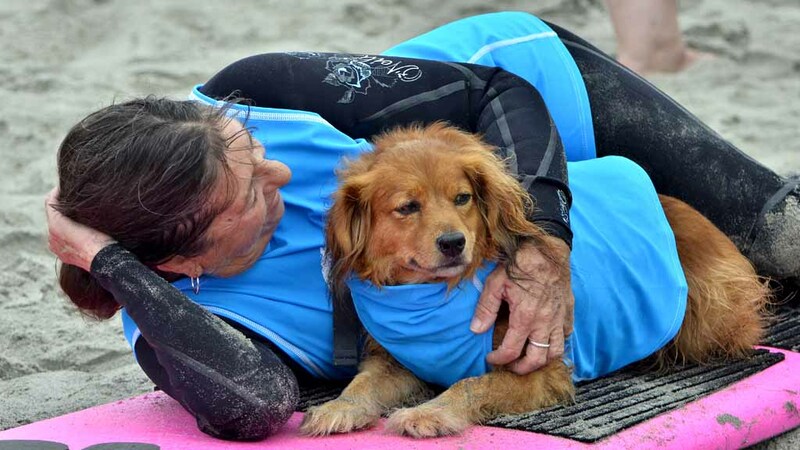 The Surf-A-Thon’s main purpose is to raise funds for Helen Woodward Animal Center orphan pets and programs. 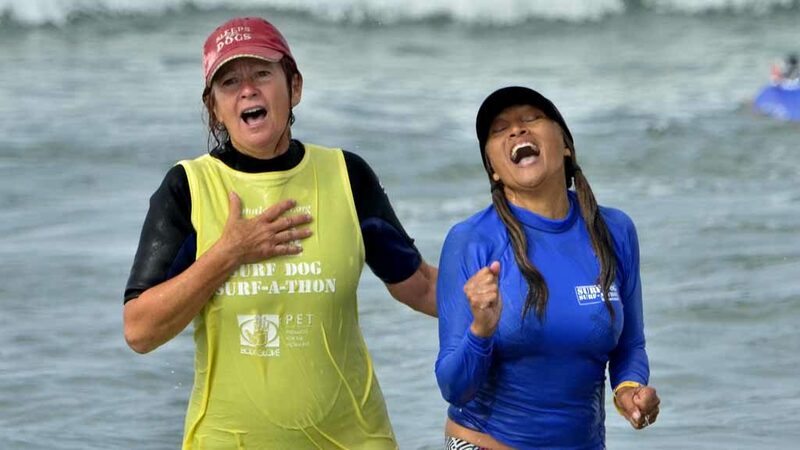 The day started cool and cloudy, but the surf and weather changed throughout the competition. 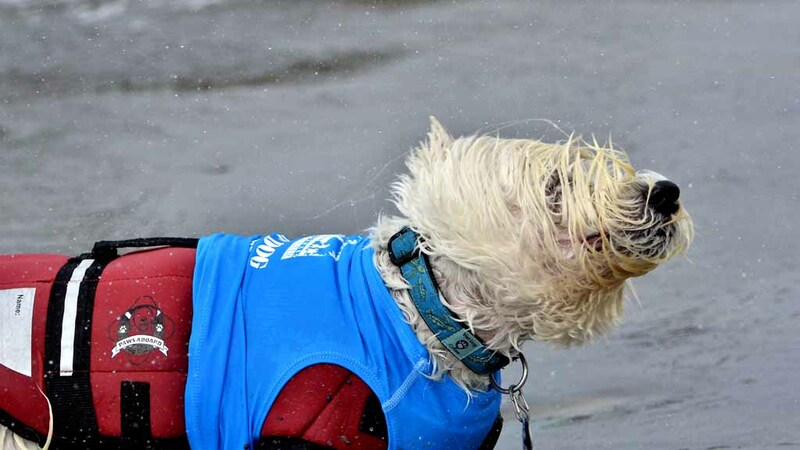 Spectators and their dogs cheered and barked their reactions. 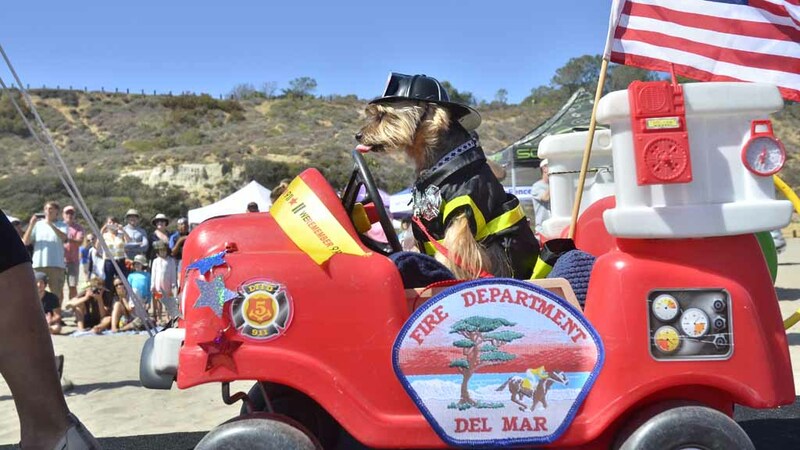 Originally scheduled for Sept. 11, the event was postponed due to a water contamination advisory at Dog Beach. 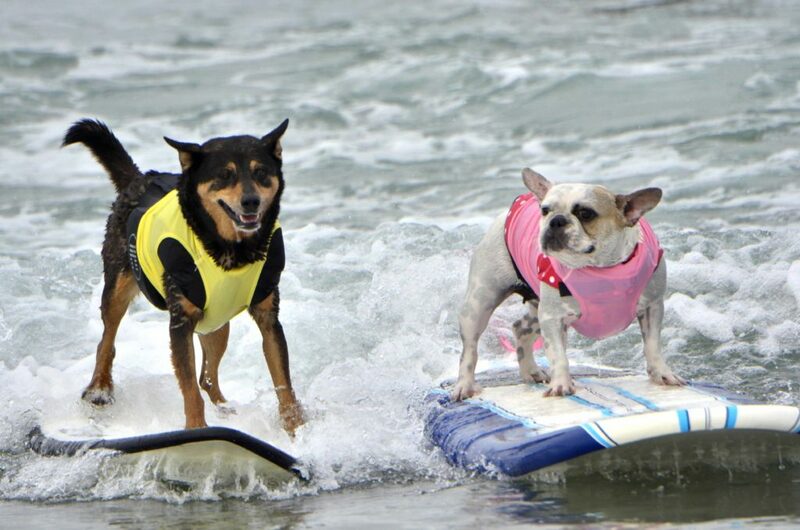 Dog competed in categories from small to extra large, based on their weight. 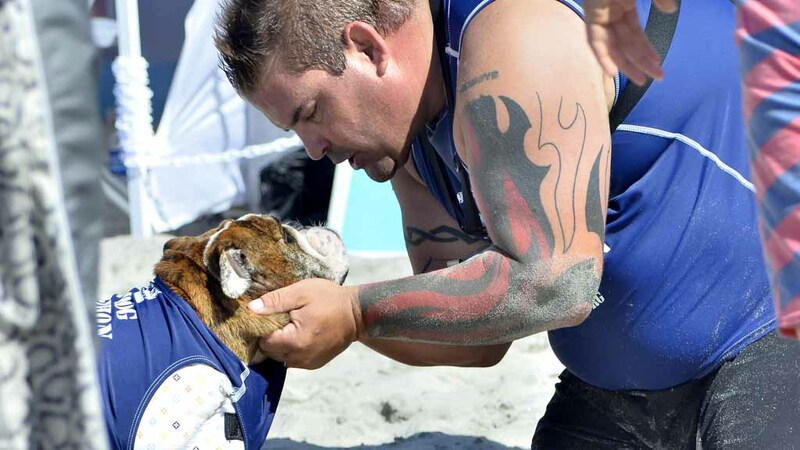 The top three finishers in each weight class received medals. 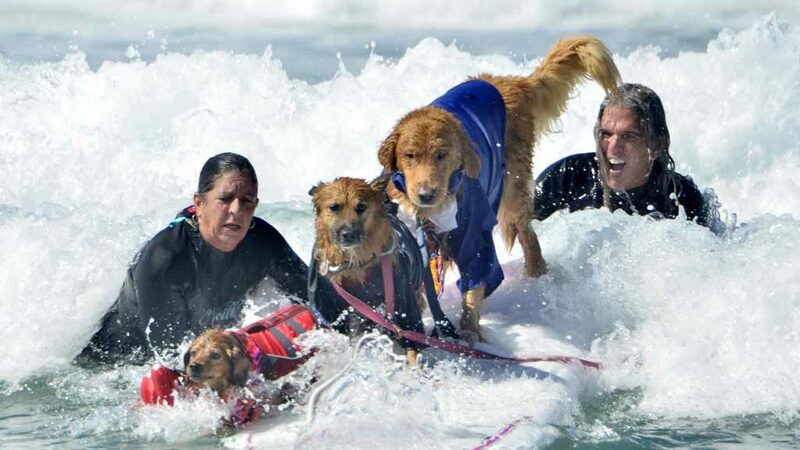 After the heats came a “Best In Surf” heat including the top finisher from each heat. 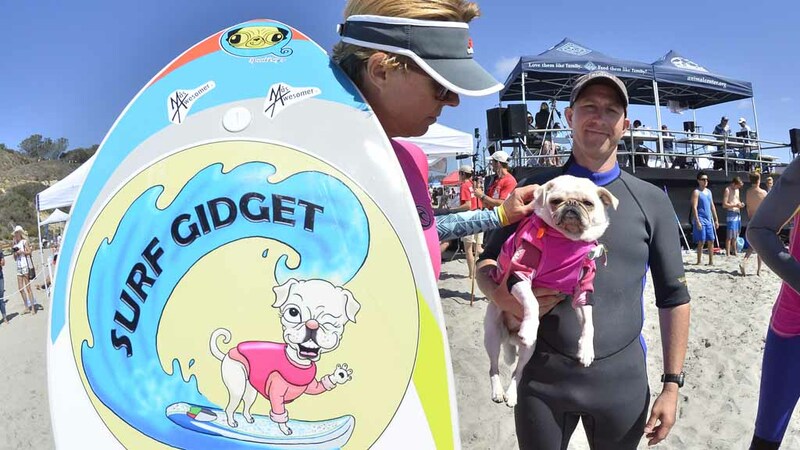 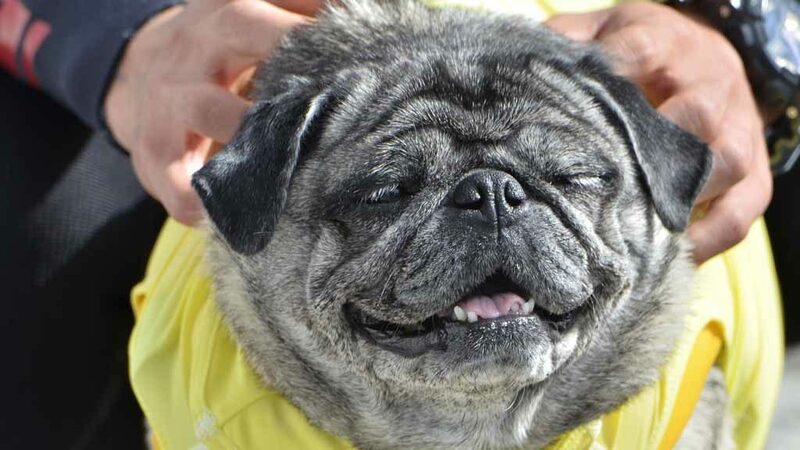 Faith, a bulldog, took second place; and Gidget, a female pug, was third.